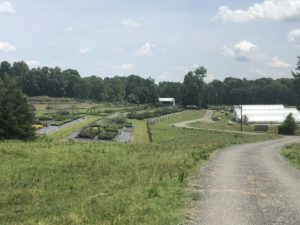 On June 29th, I had the pleasure of visiting the Willoughby Nursery and Farm. This was a unique visit. All of the farms up until this point dealt primarily with products that were intended for consumption. We had visited farms raising cattle, chickens and growing all different types of crops. This particular market was primarily beautification. Vaughn and his family grow many different types of plants, flows and shrubbery the the nursery. Vaughn markets an assortment of brands as well as types of plants. I was amazed at the large selection of plants that his customers had to choose from. Vaughn showed me how plants are first put into small pots and then replanted as they grow. We then travelled to the the greenhouses. 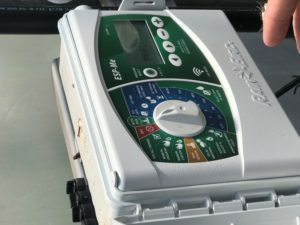 The Willoughby Nursery is equipped with thermostats and temperature control features in each greenhouse. If the temperature rises or falls past a certain degree, the equipment responses by automatically opening and closing windows, sprinkler systems and fanning systems. Vaughn and his family have worked hard throughout many years to produce the quality lawn beautification needs that many landscaping, small businesses or single family homes have. This visit highlighted the importance yet again of supporting small businesses in our community. 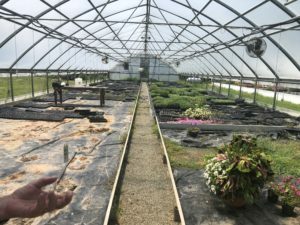 The plants and flowers I saw growing on this property were far beyond in terms of quality in comparison to many of the same growing and being sold by larger companies. There were many examples of skills on this nursery that young students could be used. 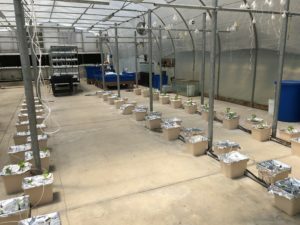 Making processes like watering, planting and growth monitoring easier and more efficient are opportunities that students and those in the younger generations could definitely take advantage at the Willoughby Nursery. 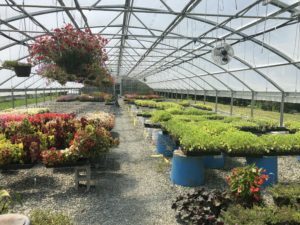 On July 3rd, we visited ACC’s Horticulture department. Dr. Elizabeth Riley has been the head of the Horticulture and an instructor for the past year. ACC has a vast assortment of projects available to students who are interested in pursuing careers in agriculture. 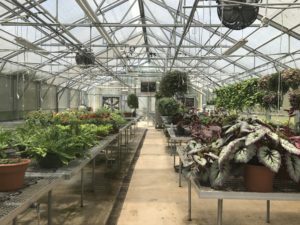 We have the opportunity to tour the greenhouses and landscape developments. The students who are in the horticulture program are emerged in a rigorous series of courses that not only allow then to learn more about plants but also allows them to design, develop and modify equipment that can enhance the care taking process and improve overall effectiveness. 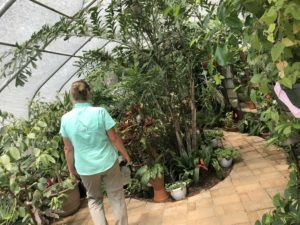 Dr. Elizabeth Riley is eager to increase the awareness, interest and enrollment of students in the Horticulture program. 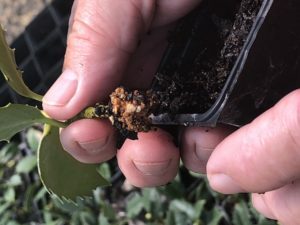 Partnering with local high schools and organizations to drive representation and interest in career areas of horticulture are two promising areas of interest that may deliver on those present needs. We toured different types of green houses storing various types of plant life. 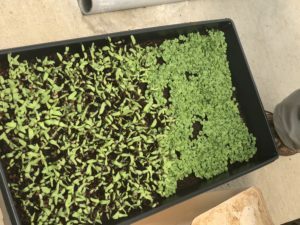 There we talked about the different types of work and developments going on in the greenhouse. We saw one green house where tomato plant were being grown without soil. 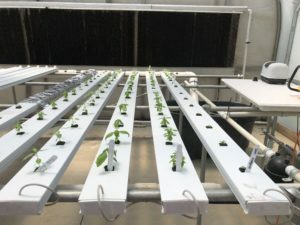 The NFT System was also being used to grow spices and other plants. This program has made great strides in a short period of time to create a resource for students who have an interest in the field. The amount of time and care invested in the horticulture program at ACC was evident. The staff working to preserve and improve the program are knowledgeable in many areas but seek to learn more about the ever changing interests of our youth. The students in this program are constantly challenged to design and develop new ways to improve upon the current ag equipment and techniques. The tour of the ACC Horticulture and Technology department truly made me even more proud to be an ACC alumna. On Friday, June 29th we visited the Randleman Family Farm in Alamance County. 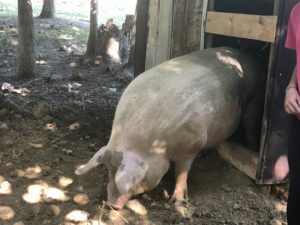 This farm is unique in its ability to raise hogs and cows and distribute their products directly to the consumers. They work closely with local restaurants and grocery stores to bring consumers fresh, all natural meats. Their farm consists of over 40 acres where the animals roam cage free. They are feed natural, wholesome diets in comparison to artificial, processed feed full of steroids, antibiotics etc. The family has a true belief in raising and providing all natural meat to each and every single consumer. When speaking to the Randleman’s, their number one concern is the future of agriculture. They highlighted to true need for educational opportunities for students to learn more about the time, work and patience that goes into the farming industry. It truly is a way of life. They take pride in their work. They take pride in a high quality, healthier, and more satisfying product. They go out of the way to ensure that the animals are treated properly and given a strategic diet. What stood out just as much as their approach to farming was the sense of in depth knowledge they seemed to have about their craft. Not only are they experts in their field, but they also speak to great knowledge about the science behind their strategies. They too feel and experience the need on the daily for new, innovated, committed people to bring a strong and positive impact on the world of agriculture in our state. 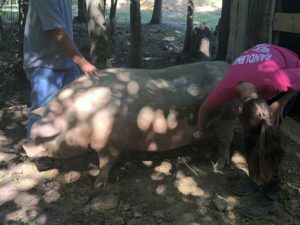 On the Randleman Farm, the pigs are given free range to roam throughout the farm land. According to the Randlemans “Big Mamma” was due to deliver anywhere from 10-14 small piglets with the week. The cows are also given free range on the farm. They are fed three times a day and are monitored for growth throughout their time on the farm. 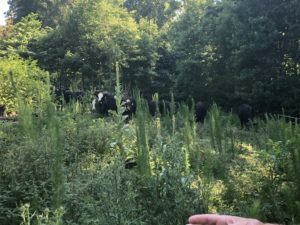 All throughout the county of Alamance, there are many farmers, agriculturalists, engineers and community leaders who have a strong investment in agriculture. Many think of agriculture as simple what we grow and eat, but that seems to only scratch the surface. I had the unique opportunity to meet people from similar backgrounds with varying stories. They all had different ideas, interests and opinions, but they all had one thing in common. They all wanted to see an often times forgotten part of our community thrive, grow and be able to sustain the population of people it supports. It was interesting to get a firsthand look at the (almost) completely different world of agriculture. The different pieces of equipment, technology enhanced strategies and the need for new ideas and innovations sparked all different sorts of ideas. The future of agriculture can surely be expanded and will rest in the ability to do more with less. How can we create new ways to continue to provide produce, livestock and various resources for our community? I was overjoyed at the opportunity to see what exactly was needed from the future students in the classroom today. This insight will help me create curriculum based instruction that also highlights some of those important skills. There is a large need for these bright minds right here in our community.